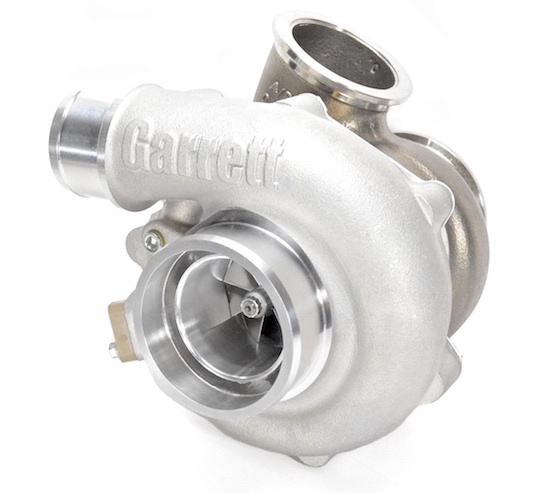 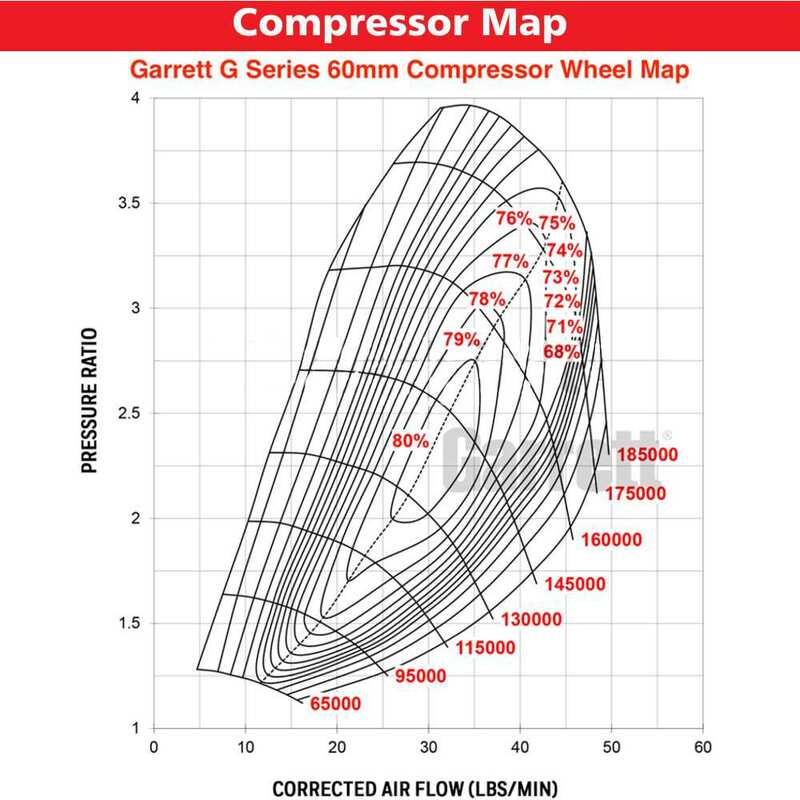 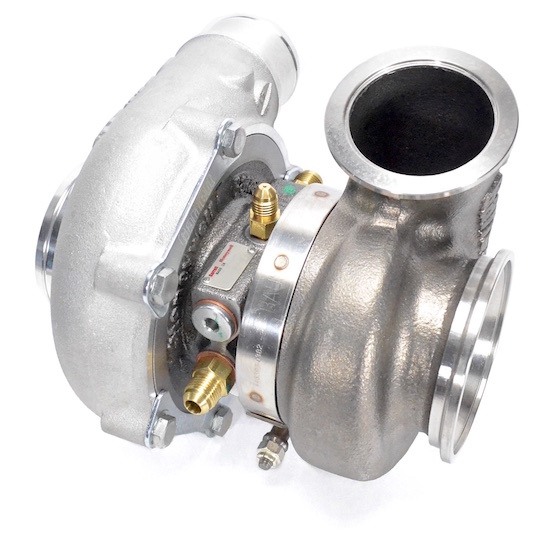 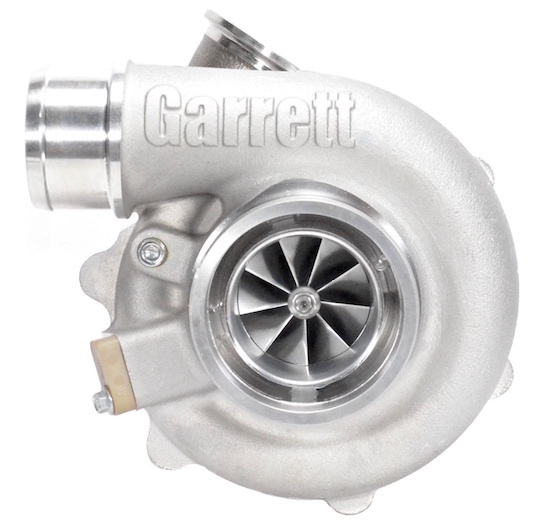 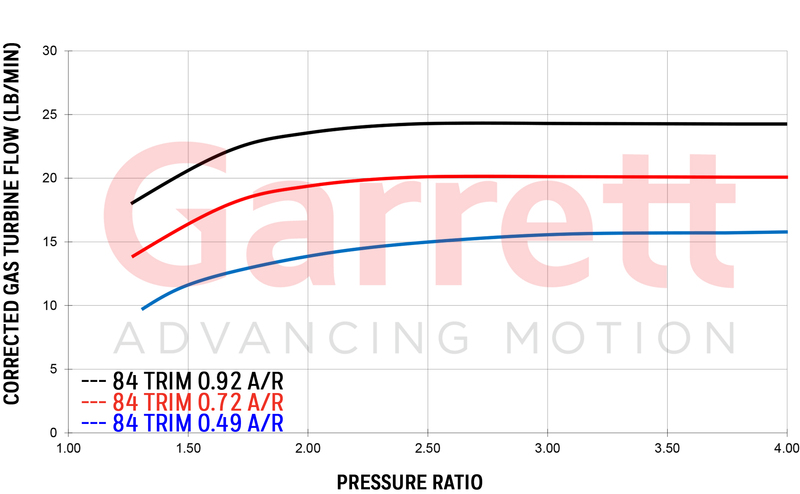 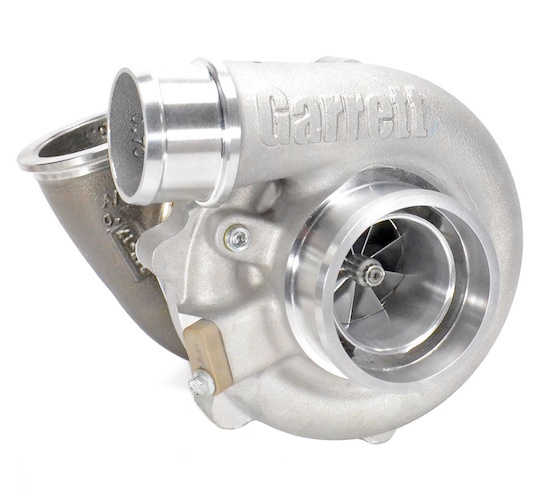 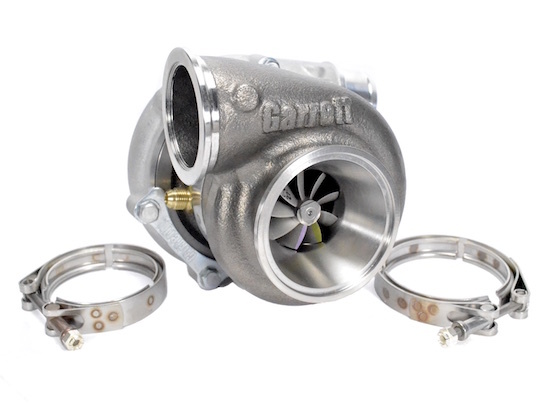 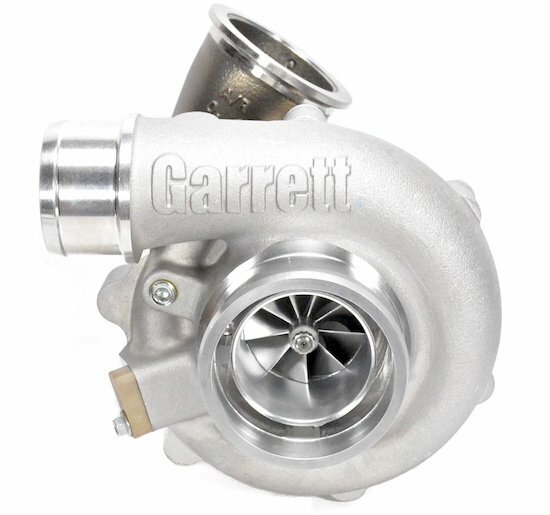 The Garrett G-Series G25-550 advanced small frame ball bearing reverse rotation turbocharger; including a Garrett stainless steel V-Band Inlet & V-Band Outlet .72 A/R turbine housing (Garrett Part #871390-5004S). 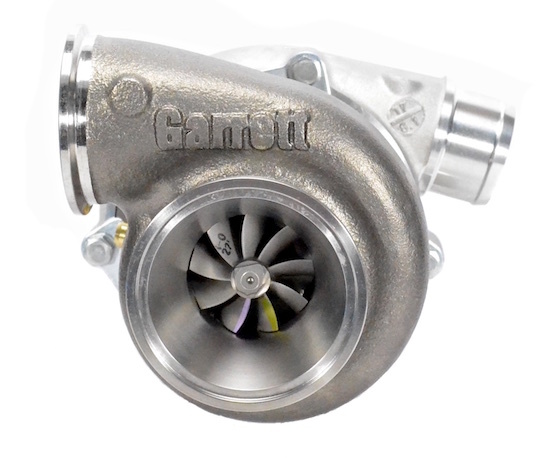 550HP from a small frame package! 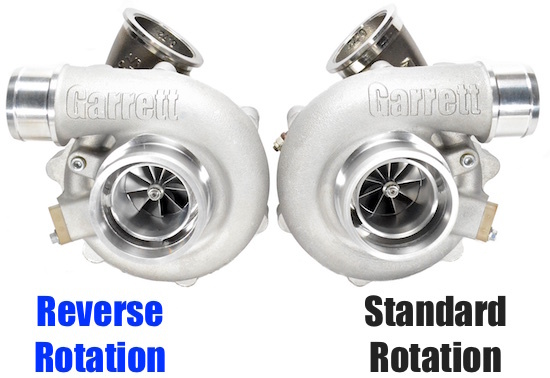 Reverse Rotation model.